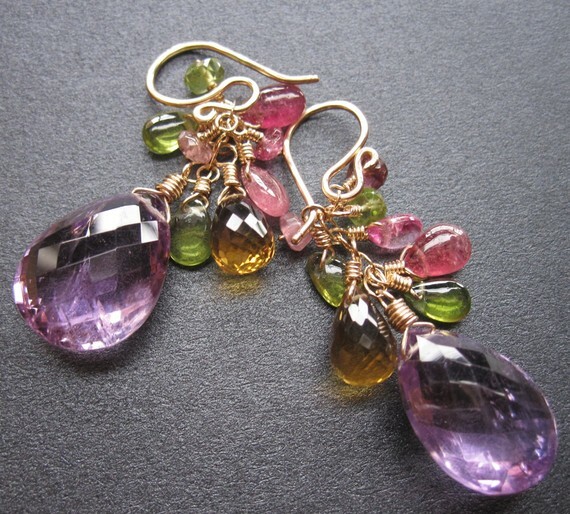 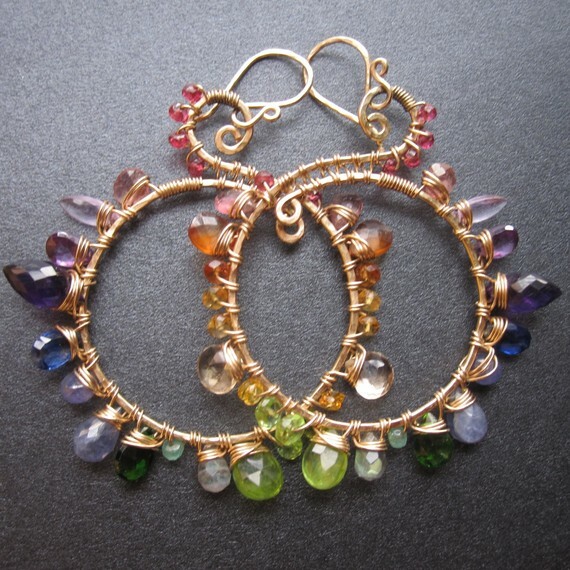 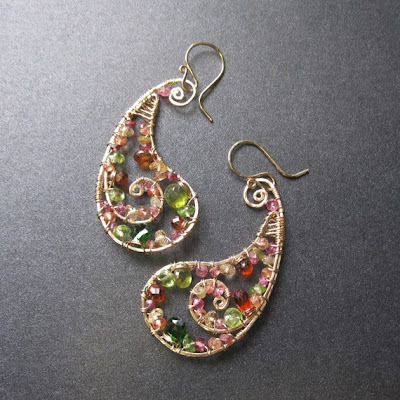 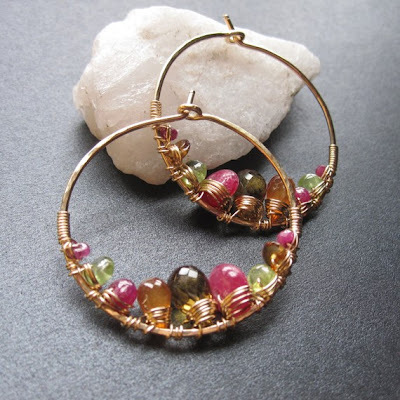 Bonnie, who owns Calico Juno Designs, is still busily making lovely wire-wrapped jewelry! We first met Bonnie in this profile from last year, and as you can see here, she has lots of new designs for the spring with bright juicy colors like pink ruby and mandarin garnet and idocrase (a warm olive green), and new techniques like extra wire wrapping and heavy gauge hammered wire. Bonnie has about 200 new designs for spring which can all be seen on her website!